Fire damaged the dive vessel Silver Surfer Monday morning. No one was onboard at the time and no one was injured when a boat caught fire in Ketchikan Monday morning. Assistant Fire Chief Scott Brainard says the Ketchikan Fire Department received a call at about 9:15 a.m. alerting them of smoke coming from a vessel docked at City Float. Brainard says a burning propane tank on the boat’s deck added to the challenge of putting out the fire, but crews were able to extinguish the blaze quickly. The aluminum fishing vessel, Silver Surfer, was used for commercial diving. Brainard says the pilot house was burned significantly, but the hull appeared to be sound. 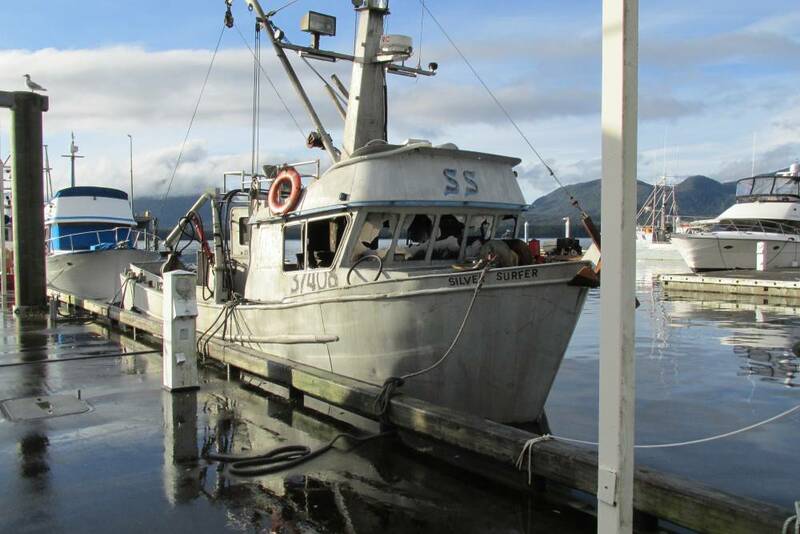 The fire department was aided by a harbormaster crew, City of Ketchikan police and the U.S. Coast Guard. The cause of the fire is under investigation.